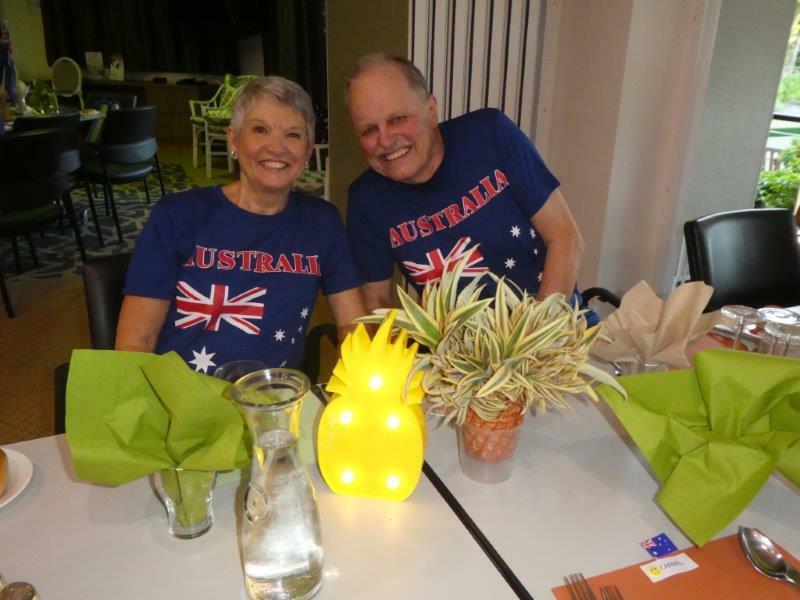 We wanted to find out what life was like for the more than 180,000 Australians who live in a retirement community, so Starts at 60 spoke to current residents around the country to get their personal experiences of community life. David Croft, 75, and his wife Desley, 71, knew that they didn’t want to spend their retirement upkeeping their Brisbane family home and garden, so moved – with their two beloved dogs – to a retirement village in the same city. David says the maintenance levy he pays at the village is money well spent when he considers the facilities he enjoys and the number of chores he no longer has to do! “My parents went into a retirement village in the early 1980s and we saw the benefits they got out of it, so we always knew that’s what we’d do too. “There’s a lot of opportunity to be active in our retirement community, and to continue using skills you enjoy using. “The interesting thing we’ve found is that what a person did in their work life hardly ever comes up – it doesn’t matter if a person’s been a doctor, a bus driver or whatever – people coming from different areas have different skills they can offer for the betterment of the community. “Before moving here, we didn’t have a great social life but here, you’ve got functions on and various things so we get involved in a lot. And it’s a lot easier to get involved in this community because it’s like living in a small village as against living in a suburb. There’s maybe 320 people in our village and we know a tremendous number of those, whereas [before living in a retirement village], you didn’t know anyone other than maybe your neighbour on each side of your home. “Desley and I play table tennis once a week with a group of people, and Desley is also in the village choir. She’s involved in the social committee for the village, and I’m currently the treasurer of the residents’ . “This year the residents have taken over the running of the village’s bar, so I organise that, and we have happy hour and various other events during the month. “Besides this, there’s a full-sized billiards table, a resort-style swimming pool and a bowling green. We also have a monthly dinner, where we get caterers in and we usually have around 130-odd people attending these events. “The events bring us together. And because you’re living in an area where virtually no one works, there’s a lot more people out and working in their garden or walking around in the streets, so you get to see them in your daily life. “Our two-bedroom cottage has its own fenced-in backyard, so there’s inside and outside for our two dogs. They lead as busy a social life as we do! We take them for a walk twice a day, so we’ve met a lot of the other dogs and their owners. “There’s less of the mundane things in our daily lives now, too, because these amenities are fully maintained. You obviously pay a maintenance levy but that’s split all around and we find it quite economical for the amount of use we get out of it! “If anything goes wrong with the house, we give the maintenance people a call and they come around and fix it. All the buildings, and even our appliances, are the responsibility of the village to maintain – we had our cooktop replaced just recently. “We can opt to let them do all the gardening because that’s included too, or you can do bits of it yourself. I have them trim the hedges and I just potter around with the rest of the garden without having to do any of the yucky work. Have you experienced life in a retirement village? What were your thoughts on the lifestyle? Choosing to live in a retirement community? That’s a wise move. Moving into a retirement village is an exciting time, bringing new freedoms, new friends and new possibilities. The Retirement Living Council, a division of the Property Council of Australia represents a large number of retirement community owners, operators and developers and is committed to helping retirees make the move.